Background: One of the most interesting flights offered anywhere in the world is the one between Luxembourg and Düsseldorf with Hahn Air. 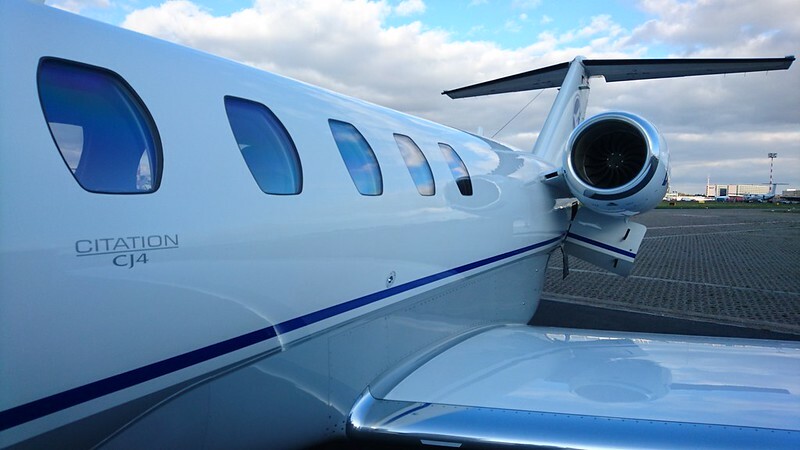 Hahn Air is a business jet operator who offers this short flight twice a week, a unique opportunity because most business jet operators don't offer regularly scheduled flights to regular customers. Since I found out about it, I'd been interested in it - if my travels ever took me to Luxembourg. This year I did, in fact, make it to Luxembourg, so I immediately set about arranging the trip to include Hahn Air LUX-DUS. 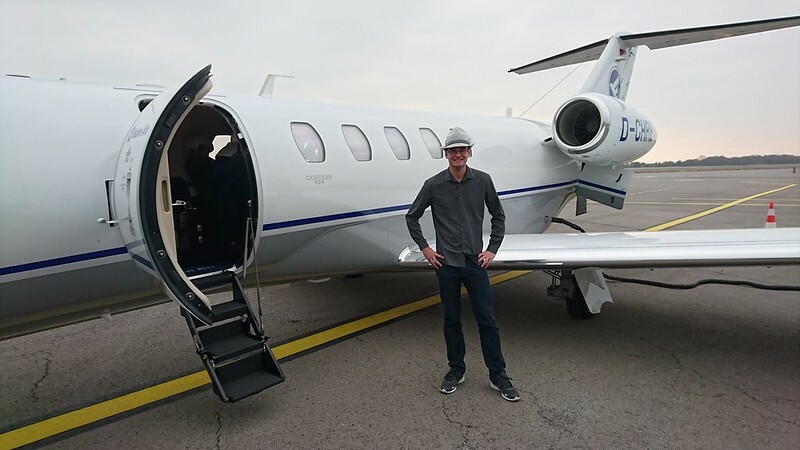 I love flying and have flown a good number of flights, much more than average people I know, but I had never before experienced a private plane. 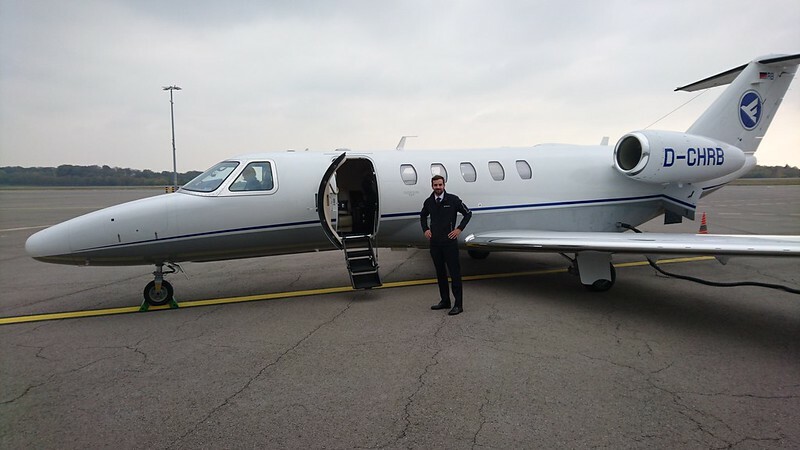 I was very excited, indeed, to get the opportunity to do so on this unique scheduled business jet flight with Hahn Air. 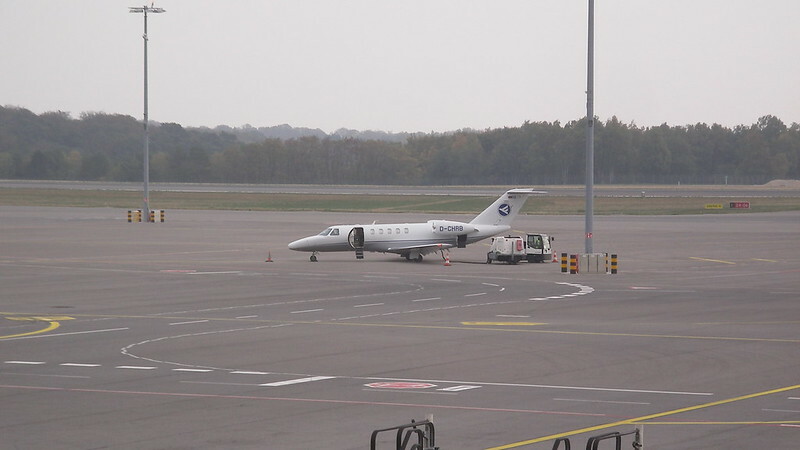 I arrived to Luxembourg Airport at 13:40 and went to the Luxair Business Class check-in. I had found a good price for this flight by booking Hahn Air Economy through Travelocity. 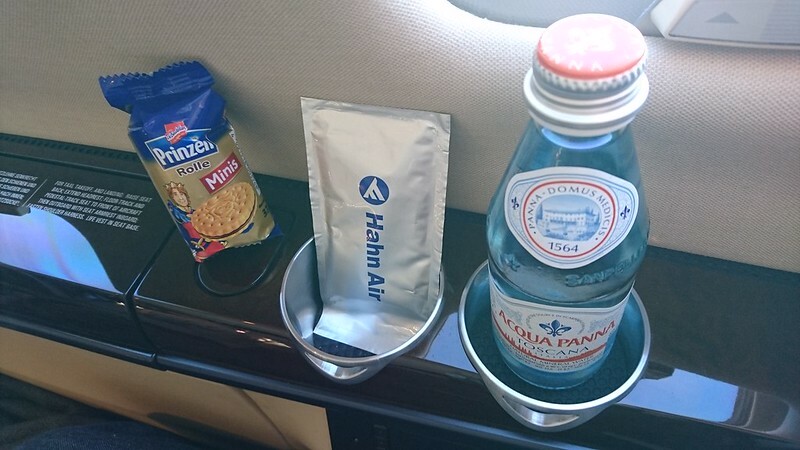 The other booking option was Hahn Air Business Class. Now keep in mind we're talking about a small business jet with only one cabin. After extensive research I could find no difference between the two booking classes aside from Business Class commanding a higher price and including a more generous checked bag allowance. Despite having booked Economy, I approached the Business Class counter for an in-person check-in, only to find out that the check-in for Hahn Air wasn't available until 2h before departure, at 13:45. I waited a few minutes for the check-in to begin. My bag ended up being overweight according to the Hahn Air Economy allowance, but the bag went through without issue, removing the one reason to have booked the more expensive Hahn Air Business Class. My party of three received cardstock boarding passes, with sequence 3, 4, and 5. 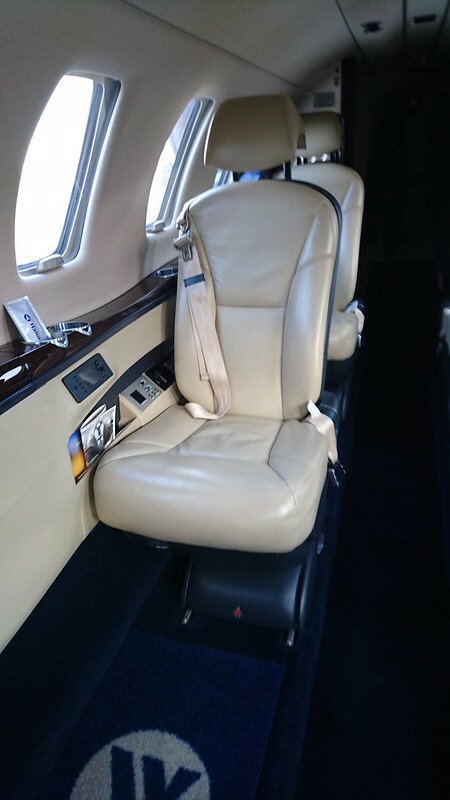 Could there be two other passengers on my private plane? I noticed that the boarding passes said class C, despite having booked Hahn Air Economy for a better price. Security was complete in quick order, and I headed to the lounge, where we were granted access. So all in all, I can see no reason whatsoever to pay a substantially higher fare for a Hahn Air Business Class ticket, considering everything is included with a Hahn Air Economy ticket. 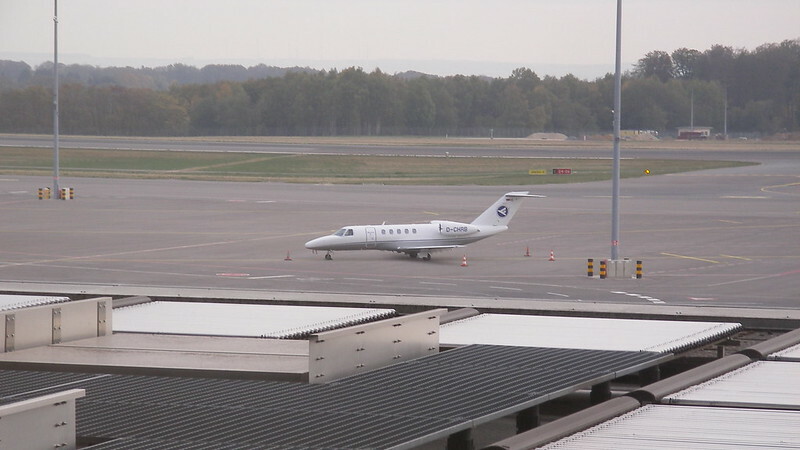 I caught my first glimpse of the aircraft, already arrived from Düsseldorf this morning. 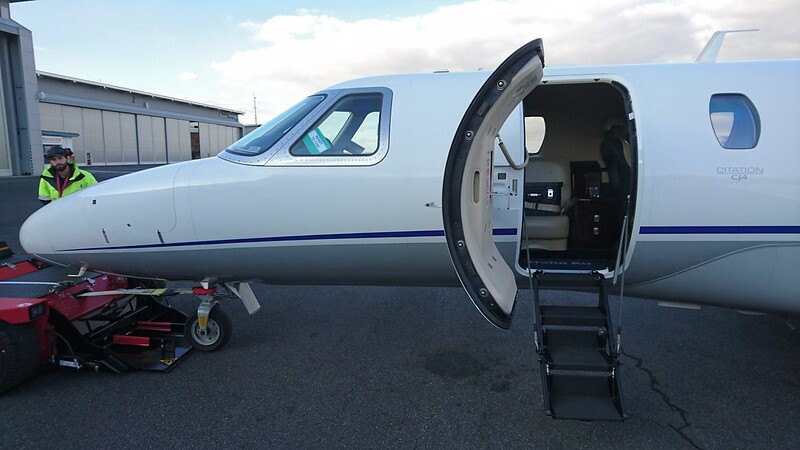 The aircraft was D-CHRB, a Cessna 525C CitationJet CJ4. 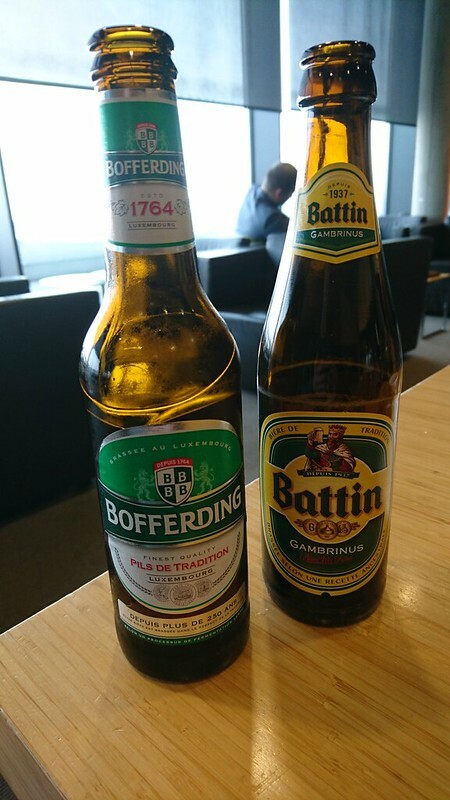 In the lounge I enjoyed my final Luxembourg beers of the trip: two of the most typical beers, Bofferding and Batton Gambrinus. Boarding was scheduled for 15:15 and departure for 15:45, so I left the lounge at 15:00 to head to gate A19, a bus gate. It ended up being a very short walk. The other two passengers of my flight were already there. The five of us boarded down to the full-size waiting bus, and shared a smile once onboard. 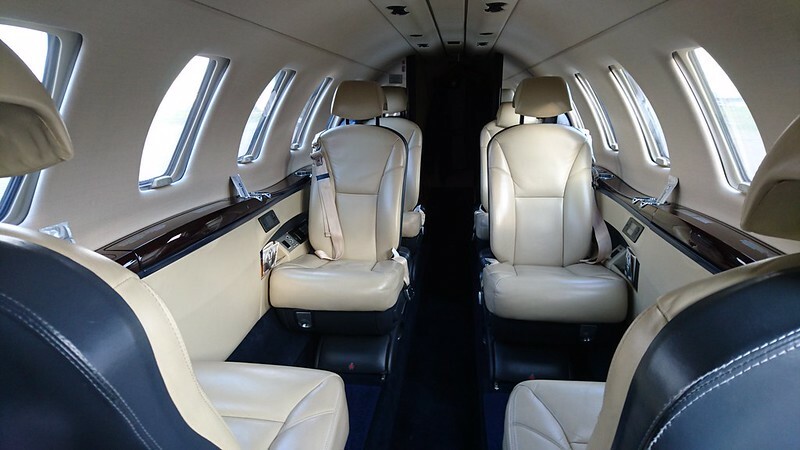 The driver came on shortly to drive the five of us to our waiting Cessna Citation. The pilot was waiting planeside for us, and was happy to take photos next to the plane. We were quickly onboard. The other two people were actually friends of the pilot, who had flown into Luxembourg on the outbound flight earlier this morning. 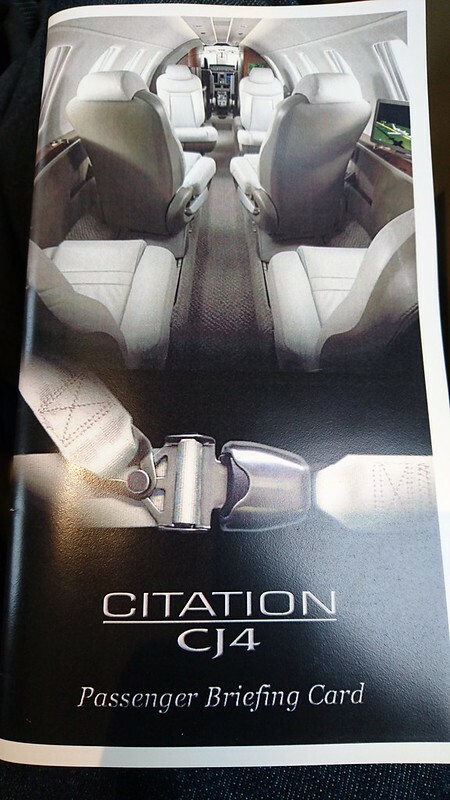 The seat was very comfortable, and included both a shoulder- and lap-belt. There was also good legroom. There were three rows, with the first row backwards and facing the second row, and then a third row behind. There's the boarding door and one emergency exit behind. I was thrilled to be flying on this business jet today. As soon as we were onboard the engines were started right away. The pilot boarded and gave a quick overview of the flight and aircraft, their smallest business jet, built in Kansas. After a quick safety overview, he went to the cockpit. With everyone onboard and ready to go, there was no need to wait for scheduled departure time, so at 15:32 we pulled off stand. This was the smallest plane I've ever been on, with a capacity of only six passengers. I enjoyed the 'new plane smell' which made it even more special. And I even had a view into the cockpit. After a Turkish 737-800 it was our time to takeoff. At 15:40, the engines began to spool up, and we were off down the runway, felt like a rocket. Some of the best pushback into the seat of any flight I've ever had. A very good sense of speed shooting down the runway, and very quickly we lift off. The climb was so fast and steep that it felt like we'd been launched from the ground. Very cool! I hadn't even finished enjoying the takeoff and climb, and we were already through 10,000 feet and the seatbelt sign was switched off. 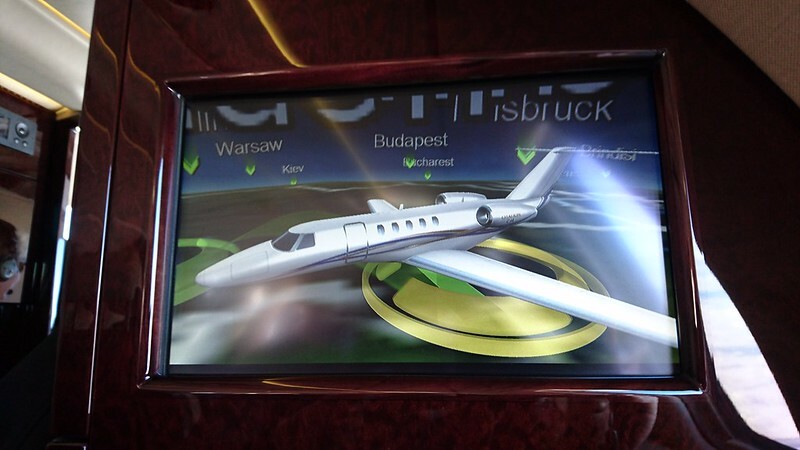 The moving map, showing the Cessna Citation, already showed only thirty minutes of flight time remaining to Düsseldorf. In the front of the cabin I found a snack basket of three types of snacks, and a cooler with coffee, tea, water and juice. The pilot looked back with a thumbs-up. I got a pack of cookies and a water, and had only just sat back down before I began to feel the start of our descent. Sure enough the seatbelt sign was already back on. Indeed the flight was already 20 minutes done! 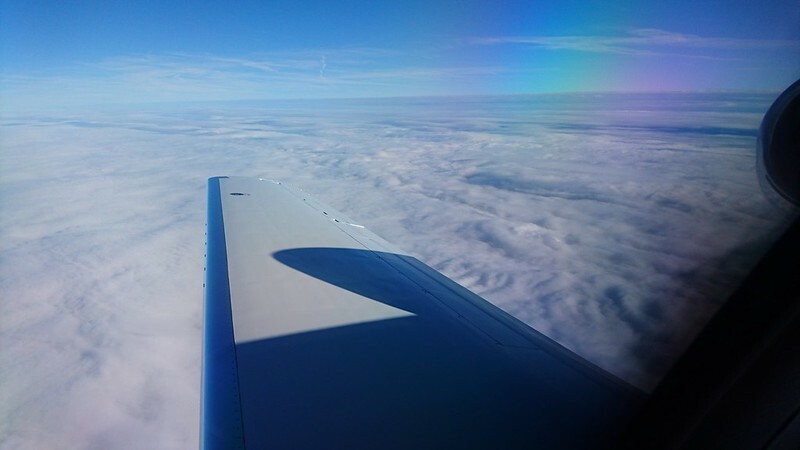 We broke through the cloud layer and I enjoyed the views of Germany from both sides of the plane. Soon enough it was time for landing gear down, with downtown Düsseldorf to the right and the runway straight ahead out the windshield. We flew straight down onto 5R with a smooth touchdown at 16:13. The runway was way longer than we'd ever need, resulting in very smooth braking, calmly down to our exit from the runway. We taxied all the way past the remote stands of airlines such as Eurowings and Thomas Cook to the general aviation hangar area. We were on-stand at 16:19. 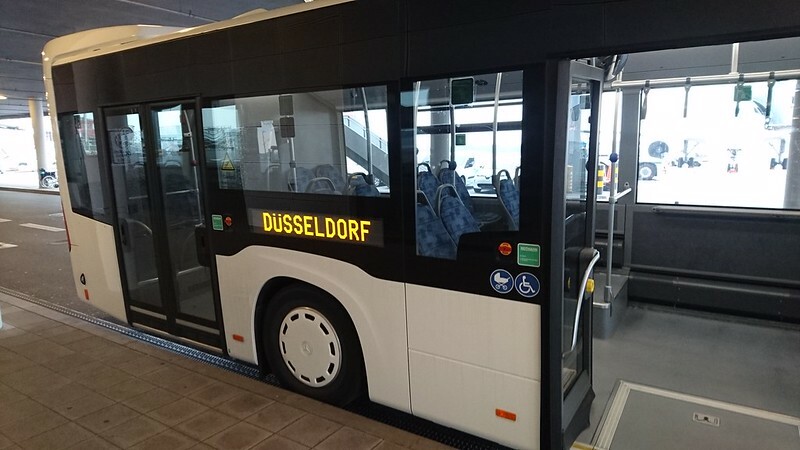 I deboarded down the stairs to find another full-size bus waiting for the five of us. After a quick conversation with the other passengers and the pilot (while the bus driver patiently waited), the five of us got on the bus for the ride from the hangar to the terminal. I was in the terminal by 16:27 to await my checked bag at baggage claim 2. This was a really fun experience. I highly recommend anyone in the Luxembourg or Düsseldorf area to give this flight a try. 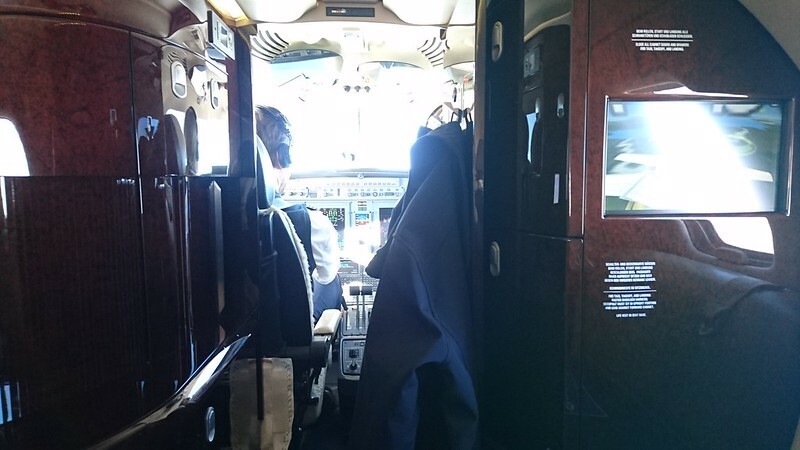 There's nothing like flying on a business jet! Such quirky flight. May I ask what you roughly had to pay for this flight? That´s the regular "published fare"
The cheapest possibility is at 199,-€ ow or 377,-€ rt if booked via airevents only. (that´s a special negotiated fare for enthusiasts with some restrictions). This route between DUS and LUX v v. serves only one purpose. Hahn Air´s main business is using their IATA membership to offer airlines without access to reservation systems (Amadeus/Sabre/etc.) to use the HR designator and have their flights listed and availlable for worldwide booking. ... but In order to keep their IATA license Hahn Air needs to operate its own flights. So, this is quite a special "configuration" and I´m sure HR will maintain these flights regardless of the number of passengers. LUX-DUS is definitely not a market that any regular airline would serve otherwise. Flying is not inherently dangerous but it is very unforgiving in case of carelessness, incapacity or neglect.